On July 12, 1980, the country’s president, Ferdinand E. Marcos, created the Light Rail Transit Authority (LRTA) as a government agency. The Chairman was the then First Lady and Governor of Metro Manila, Imelda Romualdez Marcos. This LRTA confined its activities to determining policies, to the regulation and fixing of fares, and to the planning of extensions to the system. 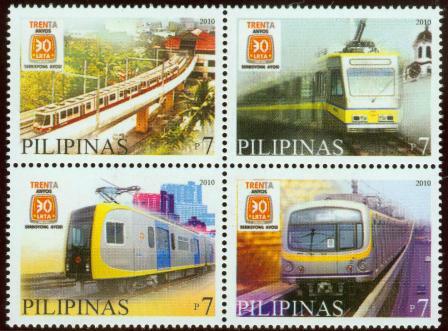 The project was called Metrorail and was operated by a sister company of the former tramway company Meralco, called Metro, Inc. Initial assistance for building the LRT project came from the Belgian government which granted a P300 million “soft” and interest-free loan with a repayment time of 30 years. The project was expected to pay for itself within a period of 20 years out of revenue alone. A Belgian consortium consisting of ACEC (Ateliers de Constructions Electriques de Charleroi, BN), (Constructions Ferroviaires et Metalliques, formerly Brugeoise et Nivelles), TEI (Tractionnel Engineering International) and TC (Transurb Consult) provided an additional loan of P700 million. The consortium provided the cars, signaling, power control, telecommunications, training and technical assistance. The entire system was expected to be financially ‘in the red? well into 1993. Against an expected gross revenue of P365 million for the first operating year, government losses were thought likely to reach P216 million. The system was designed as a public utility rather than as a profit center. Construction of the line started in October 1981, and was the responsibility of CDCP (Construction and Development Corporation of the Philippines), with assistance from the Swiss firm of Losinger and the American company Dravo, the latter, through its Philippine subsidiary. The government appointed Electrowatt Engineering Services of Zurich (Switzerland) to manage and supervise the project. Electrowatt set up offices in Manila and became responsible for extension studies of the system.